Community Park with Ball Fields, Consession Stand, Greenway Access, Picnic Facilities, Play Grounds, Pools, Restrooms, Soccer Fields, Tennis Courts, and Water Fountains. The Recreation Center includes Racketball, Basketball, Indoor Swimming and Classrooms. Hours of Operation: Park Hours are Sunrise to Sunset. 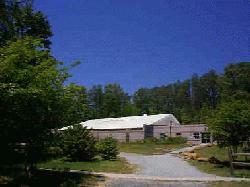 Contact The City of Durham regarding Hours of Operation for the Rec Center, Pool, and lighted portions of the Park.